Having been quite unwell lately, I haven't been producing as many reviews as I used to, and also, as you can see, this blog has been a tad bit neglected by me, too. But I do have some reviews to share that I haven't yet posted here, so let's get to those. 1. Perhaps the most highly anticipated album of the year for me this year was the new Dawn of Destiny release, Praying to the World. I am happy to say that it is fantastic! I even like their new vocalist, Jeanette! I reviewed it for Sonic Cathedral here. 2. SinHeresY's EP, The Spiders and the Butterfly. Great metal from Italy, where a lot of fantastic metal is coming from these days. Italy seems to me to be the newest metal powerhouse, which is great if you think Lacuna Coil is sliding down the tubes. SinHeresY is a dual male & female fronted band and their EP is very promising. I find myself going back to it again and again. Again, I reviewed it for Sonic Cathedral, here. 3. 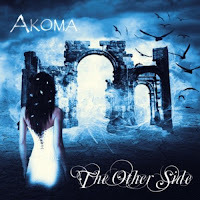 If you haven't heard Akoma, Denmark's awesome symphonic metal band with a killer vocalist, you should definitely check them out! I've been a fan for a while now, and they released a new EP this spring called The Other Side. Check my review of that on Sonic Cathadral here. 4. I co-wrote a review of LA-based symphonic metal band Ashentide's EP here on Sonic Cathedral. A very promising start from a young band with a lot of talent! The EP is available for a free download from the band's site. 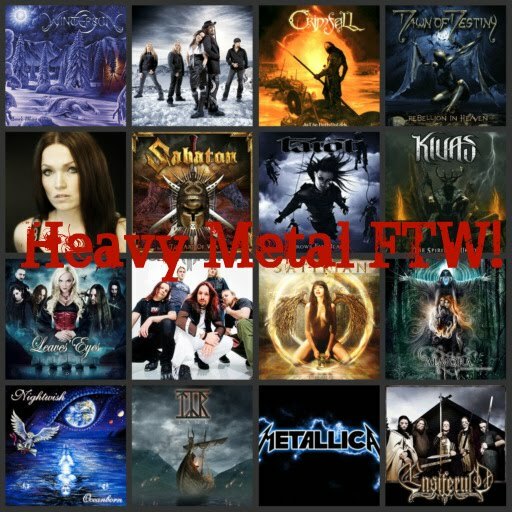 The next reviews are all from Black Wind Metal. 1. As Winter Falls' EP, available for free download from the band's site, was a nice surprise. Hailing from Slovenia, this is as talented quartet, and my review of the EP, Road to Nowhere, is here. 2. Maltese metalers Rising Sunset were kind enough to send me a copy of their new CD, Equinox. It was a little bit not my cup of tea lyrics-wise, and this caused some conversation in the comments. Musically, it wasn't bad, though. That review is here. 3. Switzerland's 69 Chambers released Torque this spring and I reviewed it here. Again, not exactly my cup of tea. 4. Opera Diabolicus - awesomesauce! I loved this CD, entitled +1614. I couldn't say enough good things about it. You can read my gushing about that one here. 5. Pythia's The Serpent's Curse was a great surprise for me since I found their previous CD milquetoast. I really enjoyed this new CD, though, and that review is here. 6. From Nancy, France, Fenrir is a female fronted folk metal band, and I reviewed Echoes of the Wolf here. 7. I even did a review of a male fronted power metal band from Cyrpus, Winter's Verge. Pretty good stuff, too. That one is here. 8. Huntress is a band making a lot of waves on the scene these days and one that is gaining a lot of popularity through it's seemingly endless touring. I almost got to see them at Paganfest in Seattle, but was sick so I couldn't attend the gig. But I was particularly interested in seeing them. Their CD is fun, though not exactly my cup of tea vocally or stylistically. But I loved their song "Eight of Swords". That review is here.